If it seems like Maryland’s investigative report obscured the question of basic responsibility for the welfare of players in favor of parsing and disputing the concept of toxicity in the context of a football program, probably that’s because those responsible for the future of the football program would like to keep this matter as abstract as possible. Not did the excesses of DJ Durkin’s football program lead to the death of Jordan McNair—of course they did—but do the excesses of DJ Durkin’s football program rise to the level of “toxic.” It’s a meaningless, deliberately vague question, but pretending to answer it can allow Maryland to keep its program more-or-less intact without confronting head-on the question of whether coaching a kid to death is a fireable offense. Apparently it is not. Maryland’s own investigative report described the dysfunction in the program as resulting largely from a lack of accountability in the athletic department, where former AD Kevin Anderson and Evans maintained “an insufficient level of in-person oversight of the football program.” In the absence of that oversight—in other words, without his bosses looking over his shoulder—Durkin allegedly ran his program like a torture camp, one consequence of which was the preventable death of one of his players. That’s certainly easy enough to intuit, without the song and dance of an eight-week investigation: if anyone up the hierarchy from Durkin generally objects to training methods that put players in physical danger, then by definition the level of oversight in the athletic department was inadequate. I sometimes fail to maintain the proper level of oversight of my nephews when I am babysitting, and as a consequence they have been known to break and destroy household items. That is because, in the absence of active, in-person oversight, my nephews, like all people, tend to follow their own impulses, which in their case often involve throwing things at each other. The investigative report describes a similar breakdown at Maryland, albeit with far worse consequences. Higher-ups failed to mind the shop, and so the people in their charge did their own thing. 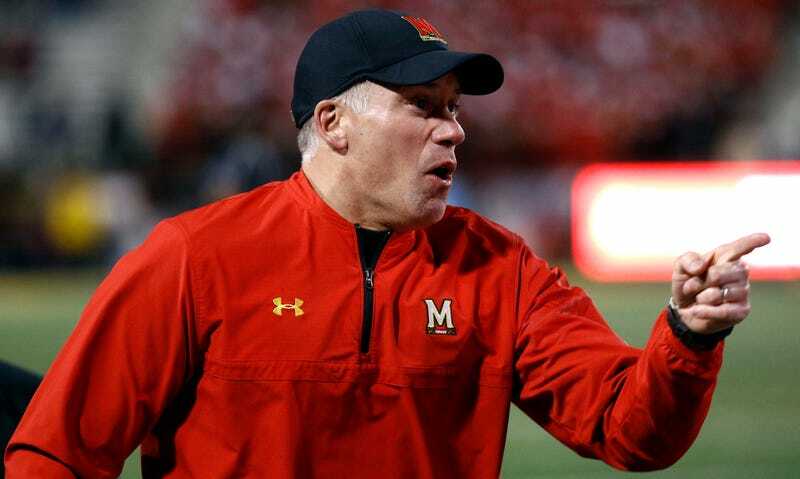 It is inescapably the case that where ostensibly moral people in management positions failed via inattention and inaction, Durkin, left to follow his own coaching impulses, ran his football program like a torture camp. There isn’t some other conclusion to pull out of this—unless the people above Durkin failed by telling him to humiliate and terrorize and torture his players, then responsibility for humiliating and terrorizing and torturing his players still falls on Durkin. Maryland’s decision to keep him around says that’s all fine, so long as he can say nobody told him not to. It’s almost hard to believe the university is capable of running a football program that lacks accountability.